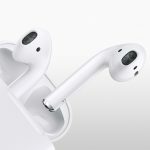 Thunderbolt, the high speed I/O technology developed by Intel and released on Apple computers last year, has dramatically transformed storage and peripheral connectivity options. 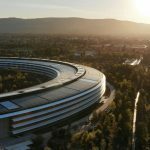 Capable of 10 gigabits per second per channel, the technology has allowed users of computers with limited internal storage options, such as the MacBook Air, iMac, and Mac Mini, to access vast amounts of external storage at speeds in the hundreds of megabytes per second. 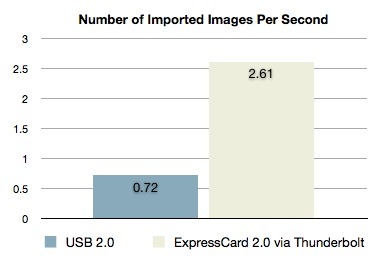 Due to its limited adoption thus far — Macs and only a few PCs support it — and its significantly higher cost compared to legacy connection options such as USB and FireWire, one of the areas Thunderbolt has yet to penetrate is memory card readers, a niche market crucial to professional photographers and videographers. 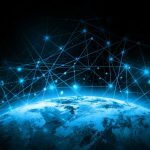 Up until recently, most creative professionals were limited to FireWire and USB based card readers which, while once state of the art, have become a significant bottleneck in most workflows that utilize increasingly large photo and video files. Now, even though there are no dedicated Thunderbolt memory card readers available, Sonnet Technologies has developed a partial solution in the form of its Echo ExpressCard Thunderbolt Adapter. 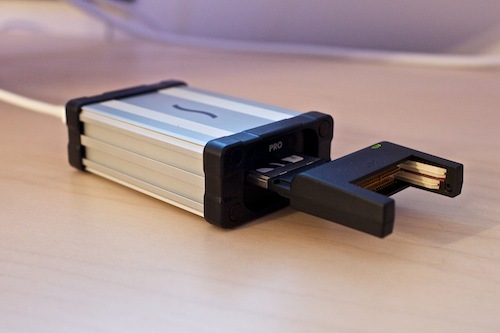 The Echo enables a wide range of ExpressCard/34 cards to be connected to a Mac via Thunderbolt. From a performance perspective, this promises to provide a dramatic increase in speed over USB and FireWire-based connections and from a convenience standpoint, the product creates a solution for professionals who need ExpressCard connections on their Mac, as Apple has removed ExpressCard slots from all but the 17-inch version of its MacBook Pro. Today, we’re interested solely in performance; specifically that of ExpressCard-based CompactFlash. 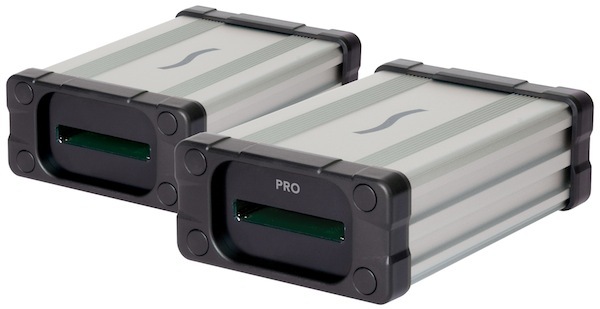 Sonnet sells two versions of the Echo, the Echo Pro ($169.95) that operates at ExpressCard 2.0 speeds of up to 5.0 Gb/s, and the regular Echo ($149.95) that operates at up to 2.5 Gb/s. For this benchmark, we have the Pro version of the product. I’m importing 594 RAW images from a Canon 5D Mark II. Each image is 27 to 30 MB in size and the total transfer is about 17.8 GB. One note before we begin: While the Echo itself requires no drivers in OS X Lion, the Sonnet CompactFlash ExpressCard I used did. Save yourself 30 minutes of head scratching and make sure to grab the appropriate drivers ahead of time. A second note: To my dismay upon beginning these tests, I discovered that my FireWire CompactFlash reader was broken. I’ve ordered a replacement and we’ll update the results accordingly once it arrives. What we have left is a direct USB and Thunderbolt comparison. On to the tests. With the memory card in the 5D, the camera was attached to the iMac via USB. 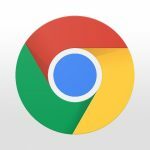 With all other programs and transfers terminated, the images were imported without additional processing into an empty Aperture library. With the stopwatch ready, the import process began. In total, it took 13 minutes and 47 seconds (827 seconds) to import all 594 images over USB. That’s approximately 0.72 images per second. The Echo with an ExpressCard adapter sticking out the front isn’t the most attractive thing on my desk, but it gets the job done. The card was removed from the 5D and placed into the ExpressCard Adapter that was connected to the Echo. Of note, when using the Echo, the memory card isn’t recognized by the system as such, it merely appears as an additional hard drive. While this doesn’t cause any practical effect, it does require the user to manually drill down through Aperture’s import dialog and select the card from the file structure. The memory card isn’t automatically recognized by Aperture while connected via the Echo. Users simply have to select the card, which appears as an attached hard drive, from Aperture’s import list. The stopwatch was reset and the import began again. The results were dramatic. It took 3 minutes and 48 seconds (228 seconds) to complete the transfer, an average of 2.61 images per second. 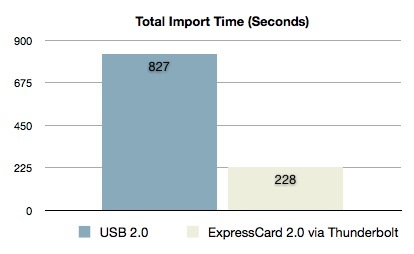 In the end, ExpressCard via Thunderbolt saved about ten minutes of import time, an improvement of about 360 percent. So what’s the downside? Cost. 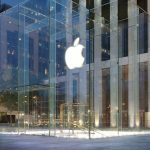 Users wishing to go this route must acquire three items: the Echo ($170), a CompactFlash ExpressCard Adapter ($100), and a Thunderbolt Cable ($50). That’s a total of $320 before tax and shipping; definitely a steep price for 10 minutes of time. As a result, this setup can’t be recommended for casual users. For professionals, however, that 10 minutes adds up quickly. A 360 percent improvement in import time can go a long way when your project is on a deadline and there are multiple cards to import. It can also be critical for field editing, where images need to be ingested and processed as quickly as possible. Along these lines, the Echo is also bus-powered via Thunderbolt, making it a perfect match for a MacBook Pro or Air in the field. The Echo CompactFlash setup may be clunky and expensive, but it’s by far the fastest option for importing video and images and, until prices come down and dedicated memory card readers arrive, it’s the best option for professionals that need speed. Whether that speed is worth the cost is up to you.